Patrice Ettinger is the Chief Privacy Officer at Pfizer, one of the world's premier innovative biopharmaceutical companies with a global reach in over 125 countries. In this role, Patrice leads Pfizer’s privacy program with responsibility for privacy and data protection strategy worldwide. Before joining Pfizer, Patrice was Chief Privacy Officer at Avon Products Inc., where she created Avon’s first global privacy program. Prior to her role at Avon, Patrice held positions of increasing responsibility at Dow Jones & Company, including as Associate General Counsel in charge of the company’s intellectual property and privacy matters. 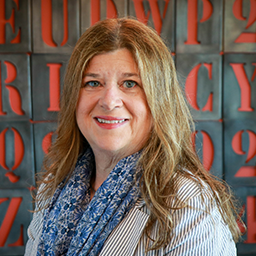 Patrice serves on the Board of Directors of the International Association of Privacy Professionals (IAPP), is a member of the IAPP Educational Advisory Board and a former and founding member of the IAPP’s Women Leading Privacy Advisory Board. In addition, Patrice is Chairperson of the International Pharmaceutical Privacy Consortium, an industry-leading organization focused on privacy best practices for the pharmaceutical industry and public policy for privacy and healthcare. She also has been a member of the Women in the Legal Profession Committee of the New York City Bar Association since 2009, where she has chaired Leadership and Privacy subcommittees. Patrice is a Certified Information Privacy Professional (CIPP/US) and received her JD from Fordham Law School. How Will Global Pharmaceuticals Companies Implement the GDPR?